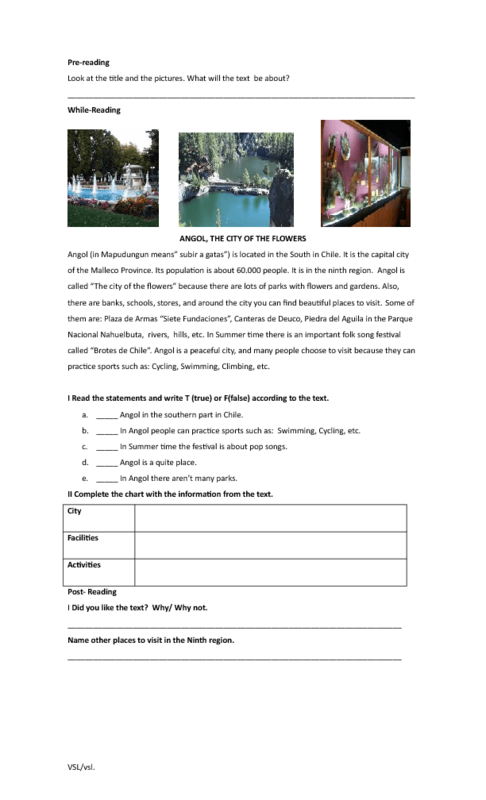 Reading Comprehension related to Tourism in Angol,Chile. It is a short description of some places to visit if you come to the city. It contains True-False exercises. Complete a chart with specific information given in the text. Then complete the two post-activity questions.